First let me say that the products I use are tested by me after years of use on the 1911 and other guns. I believe that Militec lubricant and Wilson Combat gun grease are all you need. The obligatory Hoppes number 9 solvent is one of the best. First let me say that cleaning a 1911 is basic. You remove the slide, recoil spring and grips. Clean these parts as usual. After cleaning you will use Militec to lube the slide rails on the frame. Three drops on each side will do it. Then add a small amount of Wilson gun grease on each rail. One small drop on each side will do it. When applying the Militec place one drop on the front edge of the slide rail, one in the center and one at the rear. Place one drop where the trigger attaches to the frame. Place one or two drops on the barrel and spread to cover the entire surface of the barrel then wipe any excess off. You will also place one drop on the engagement lugs on the slide. You will also use a clean patch to apply a small amount of Militec to the interior of the barrel. Do not leave a great deal in the barrel. While Militec will not effect primers it’s best to be cautious in this area. Also place one drop on the interior of the barrel bushing. This is all you need to do in order to complete the lubrication. Then re-assemble as usual. I go one step further. After racking the slide several times I remove any excess lubricant at the rear of the slide. I then apply Militec to the exterior surface of the gun then use a hairdryer on hot to dry the lubricant not absorbed by the gun. Wipe down with a silicon cloth on the exterior. That’s it your done! Militec–The best lubricant you can possibly use! MILITEC/Lanigan Performance is a very patriotic company. If you are a soldier or police officer the company will provide free samples. My son is in Iraq right now and they sent him 12 1oz bottles of Militec completely free of any charges including shipping! This is one fine company that deserves our support by purchasing their products! CHARACTERISTICS: MILITEC-1 Synthetic Metal Conditioner has the unique ability to create a complex, molecular compound within the surface of heated gunmetal. This causes MILITEC-1 to become part of the metal, not merely a temporary coating or a boundary film. There are two main characteristics of this safe new compound. First, it seals and conditions the metal by stiffening (not hardening) the metal surface. Second, it makes the gunmetal self-lubricating under all environmental conditions. SELF-LUBRICATION: After a complete application, a MILITEC-1 conditioned firearm is self-lubricating. Self-lubrication gives the firearm’s gunmetal the dry lubricity that is required for sustained fire under all environmental conditions. If exposure to dust, sand, or extreme cold is a concern, all excess MILITEC-1 must be wiped away, leaving the firearm’s surface metal clean, dry, and constantly lubricated. Please note: Complete corrosion protection and self-lubrication is attained only after both Step One and Step Two (below) are completed. PREPARATION: To take full advantage of MILITEC-1’s unique properties, start with a clean firearm. Although MILITEC-1 contains a mild detergent that will help with subsequent cleaning, there are no solvents or other hazardous materials in MILITEC-1, so it cannot remove old caked-on fouling and build-up from other lubes. Thus, if a firearm is dirty, you must clean it with a solvent before you proceed. Normal fieldstrip cleaning should be perfectly adequate. If possible, remove the handgrips, clean and prepare. 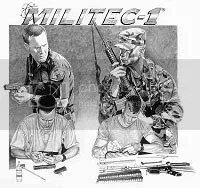 INITIAL TREATMENT: Applying MILITEC-1 to a firearm for the first time is a two-step process: (1) Application and (2) Firing. STEP ONE: APPLICATION. Now that the firearm is clean and dry, apply a light film of MILITEC-1 to all surfaces, including the bore. Burnish/polish MILITEC-1 into exterior surfaces by rubbing rapidly using a cloth lightly dampened with MILITEC-1. Sparingly apply drops into the action, concentrating on springs, moving parts and metal-to-metal contact areas. If your firearm has a magazine, be sure to apply MILITEC-1 both inside and out. Leave a very light film of MILITEC-1 on all surfaces during reassembly. Now proceed to Step Two. STEP TWO: FIRING. Once you fire your weapon enough times to reach operating temperatures, the heat and friction will activate MILITEC-1, strengthening the bonding process that was started in Step One. While firing, MILITEC-1 creates a self-lubricating, water-repelling, dry compound within the gunmetal. Additional Application Instructions: If Step Two is not immediately possible, consider applying low heat to the firearm to facilitate the bonding process until you can perform Step Two. In field conditions, place your lubed firearm in the sun underneath black plastic or a similar ventilated heat source for at least two hours. Alternatively, you may use a heat gun, hairdryer, burnishing or polishing tool to heat the gunmetal. In heat controlled environments, do not exceed 150° F (65° C). In all applications that require heat to condition the firearm, always insure proper ventilation and wear protective clothing. Please consult our MSDS for additional information. ULTIMATE PROTECTION: To maximize the effects of MILITEC-1, repeat Step One and Step Two while the firearm is still hot from the first firing session. MILITEC-1’s impregnated molecular bond intensifies during the next 2-3 applications on hot gunmetal. MILITEC-1 has now become a physical part of the gunmetal. SUBSEQUENT APPLICATIONS: It is important to continue using MILITEC-1 to lubricate your firearm throughout its normal service life. Consistent use of MILITEC-1 will maintain the self-lubricating effect, maximize corrosion protection, and minimize wear on all friction surfaces. Fouling, deposits and metallic debris do not adhere as easily to gunmetal surfaces conditioned with MILITEC-1. Use a safe, inexpensive cleaner or solvent to detail the firearm, if necessary. For maximum corrosion protection, and especially if long-term storage is anticipated, leave a very light film of MILITEC-1 on all surfaces, after both steps or field application procedures are completed. APPLICABILITY: MILITEC-1 is recommended for all pistols, shotguns, rifles, automatic weapons, tank guns and artillery of all calibers and sizes. Note: MILITEC-1 will alleviate jamming due to tight tolerances. Ive been a 1911 junkie for many years…sold many custom Kimbers and my Trojan when I got divorced last year….oh well. Life goes on. I love your sight……..very very well put together. Id love to give you a couple of holsters to try out…I do not want an artice or review. Just your opinion. 1911’s are hard to accomidate in daily carry and its taken me as many as 15 revisions over the years to get them right. Let me konw and Ill get you something out…. This is a lie and has been proven to be one many times. Militec is a very poor rust preventative. I don’t do what some bloggers do and filter comments they don’t agree with. We all have our opinions and you are certainly entitled to yours. I must disagree in this case. I’ve used Militec on weapons that have been stored for months without any rusting when removed from storage for issue. The application amount is fairly liberal when I stored a weapon. I have been very satisfied with the results in my experience. 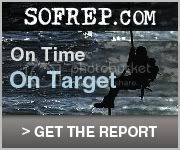 There are dozens of federal agencies as well as military that use Militec with good results.I listed a partial list of agencies and units that use it. We just have to agree to disagree on this one. I am curious about what you use on your weapons if you don’t mind my asking. Having lived in good old HUMID Michigan I have tried a plethora of different products that claim to prevent rust/corrosion and have found the majority to perform poorly or outright fail at that task, even to the point of having a light frosting of rust by the next day already. I havent tried Militec yet (cash issue) but I plan to as soon as the money is available, I’ve heard good reports about the product. Even the mititary is considering dumping CLP in favor of the Militec product after “real time” testing by our troops in combat. Among the other great attributes is its ability to shed sand and grit, and absolute plus over in the sandbox! Thanks for the comment and I tell you I think I’ve tried everything under the sun and stopped after finding Militec. I know some folks don’t agree and that’s ok but I sure have had great luck using it on every gun I own. I bought that Marlin 22 rifle I reviewed a couple of weeks ago and it had some other lube on it and was jamming like crazy, in fact about every other round, which may be why the guy sold it. Anyway, I cleaned it to the point of being dry by using the Gun Blast stuff then lubed it as usual with Militec. Problem solved and it’s worked fine ever since with about any ammo I’ve tried. In regards to the Marlin .22, I know my Model 60 tube fed magagzine Likes the Militec. The Marlin has learned to have some manners during shooting. When th M60 was dirty and was being lubed with brand X, I’d get stove-pipe jams and other ejection issues. Since I got the militec it has really settled down, the old lube was causing some sort of resistance (dirt included), after a good stripdown and cleaning (yes it was very dirty, shame on me) I applied the militec anf now its like a new rifle; heck it even hits where you ain it!! Nothing better than a clean and properly lubed rifle. BTW; I bought the rifle because the seller said it wouldn’t hit the barn side of a broad but I know Marlins better than that. The rifle with a four power scope will drive tacks at 50 yds! Enough about the Marlin; don’t knock the Militec till you have tried it, Ive used it on all my weapons and it works as advertised. Just make sure you RTFM and FOLLOW instructions and you should have no problems. Thanks to Phil for turnimg me on to the product as I really appreaciate the opportunity to try it. Thanks buddy! I’m glad it’s working well for you and yes it does keep jams down on most guns rifle or semi auto pistols. This is quite a up-to-date info. I’ll share it on Twitter. Good deal I hope it helps. I have mixed militec-1 with tungston disulfide.Wow, this is the slickest lube i have ever used! I noticed Eric Larson asked your opinion of his 1911 holsters back in 2007. Whatever you said, he had it right by 2011 when he made mine. His is a VERY underrated holster. Comfortable, well-built, stable and absolutely gorgeous. If you had anything to do with that, thank you! Thanks Tommye—– Now that I have more time I’ll be posting more often. I retired as Editor of The Firearm Blog.